Although having a perfect face or a perfect smile, may not determine success in life, it still instills a minor sense of confidence to those having it. There are various types of smiles that are used to express emotions like the happy smile, sad smile, confident smile, shy smile, amiable smile and sometimes that annoying smile. We consider all types smile to be precious, requiring protection and caring, having imperfections in it is not just a simple problem of appearance but an issue which could cause severe health implications if neglected. Proper dental care habits should be inculcated since childhood, to avoid future oral health issues. Having an imperfect or crooked tooth can leave a shadow in one’s confidence, though these issues generally appear in childhood once milk teeth fall, it can also appear in adults under special circumstances like an accident. Age shouldn’t be a barrier to opt for availing treatment of these malformations. At V.V Dental Clinic in Kilpauk with a team of some of the best dentists in Anna Nagar, we provide treatment for both adults and children, so they can retain a smile free from these imperfections. Fix an appointment or walk-in to our dental clinic in Kilpauk and have some of the best dentists & pediatric dentists in Anna Nagar to install retainers to correct your or your child’s misaligned teeth. Depending on the need, a fixed or a removable retainer would be prescribed for treatment, the retainer is made using either plastic or metal and prices vary depending on the material. 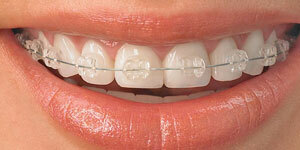 Constant care, proper maintenance and frequent use of retainer are necessary to bring teeth to its proper position. For a removable retainer, precautions must be taken to avoid damages from improper handling & storage and avoid misplacing it when removed. Clean it regularly and only remove when necessary like when involved in intense physical activity, eating or brushing the teeth. For fixed retainers maintaining hygiene is of utmost importance, proper brushing and flossing is necessary since it is easy for food particles to get trapped between teeth and retainer. Fixed retainers can sometimes work loose or get damaged accidentally but our best dentists & pediatric dentists in Anna Nagar are here to fix it when necessary. Once installed it is necessary to drop-by at our dental hospital in Kilpauk periodically at a fixed interval till the teeth get aligned perfectly for both fixed and removable retainers.